Mangaluru, July 1,2017: In line with the directions of the Election Commission of India (ECI), a special drive will be launched for enrollment of voters between July 1 and 31. Chairing a meeting of political parties in the city on June 30, Friday, DK Additional DC Kumar said during the special drive, eligible electors will be enrolled and mistakes in the electoral rolls will be eliminated. The names of those aged between 18 and 21 years which are missing from the voters list will be included. After the Election Commission announced electoral rolls on January 1, 2017, this is the first time that special drive is being conducted for the enrolment of voters. The drive aims to increase the enrolment of eligible voters in the age group of 18 to 19. The shifting of names from one booth to another will also be taken up. The eligible voters can submit their applications to anganwadi workers/teachers/VAs in July. From July 9 to 23, the booth-level officers will be at the booths with Form 6, 7, 8 and 8A. They will receive filled-in application forms too. The names of dead electors will be removed from the rolls after verifying the records available with the respective local bodies. New voters can also submit forms online in the website. 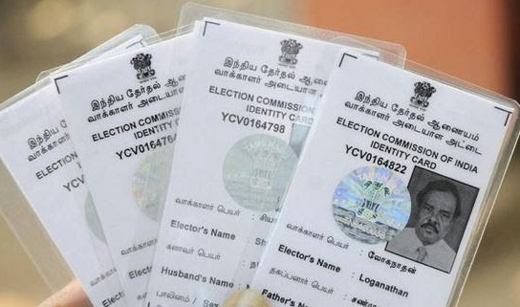 If the already-printed photo in the voters ID card is of poor quality, then the applicant can submit the recent passport size photograph to the tahsildar, said the Additional DC. As per the electoral rolls announced on January 10, 2017, the district has 16,37,344 voters. Among them, 8,07,529 are men and 8,29,815 are women voters.